The Incredible Hulk #1 (Marvel, 1962) CGC VF/NM 9.0 Off-white to white pages. Superb copy of the second most valuable Silver Age issue, behind only Amazing Fantasy #15. The issue that brought us the origin and first appearance of the Hulk is also just about as difficult to find in high grade as AF #15, as borne out by our archives and by CGC's census. 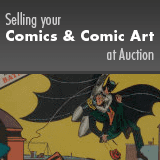 All this makes our offering one of the true comic highlights of this auction. Besides introducing the Hulk, herein are the first appearances of Rick Jones, Betty Ross, and Thunderbolt Ross. Jack Kirby cover and art. Overstreet 2018 VF/NM 9.0 value = $157,400; NM- 9.2 value = $265,000. CGC census 2/19: 12 in 9.0, 7 higher.